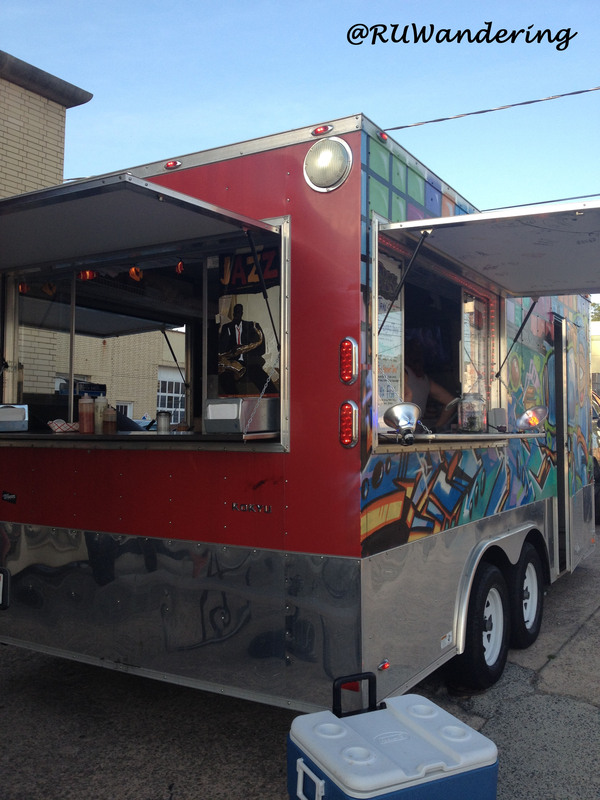 The Wheels and Mortar series will focus on trucks that have a brick-and-mortar presence. As trucks develop new strategies that incorporate buildings in addition to their mobile locations, this series will focus on those more permanent/less-mobile strategies. 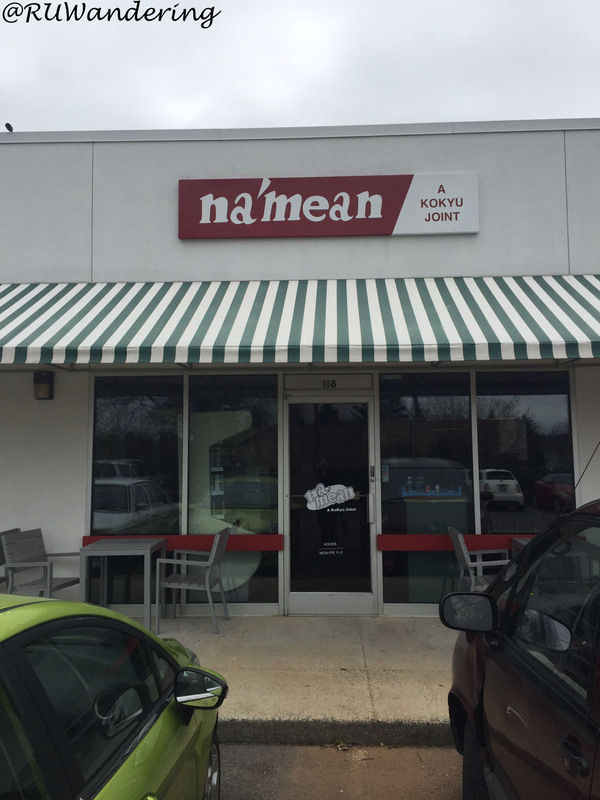 This segment looks at Na’Mean, a KoKyu’s Sandwich Shop. Before you start reading this post and think you will find a subjective post, you can say I am biased for KoKyu. Granted, most comment the food is great and the artwork is really cool. 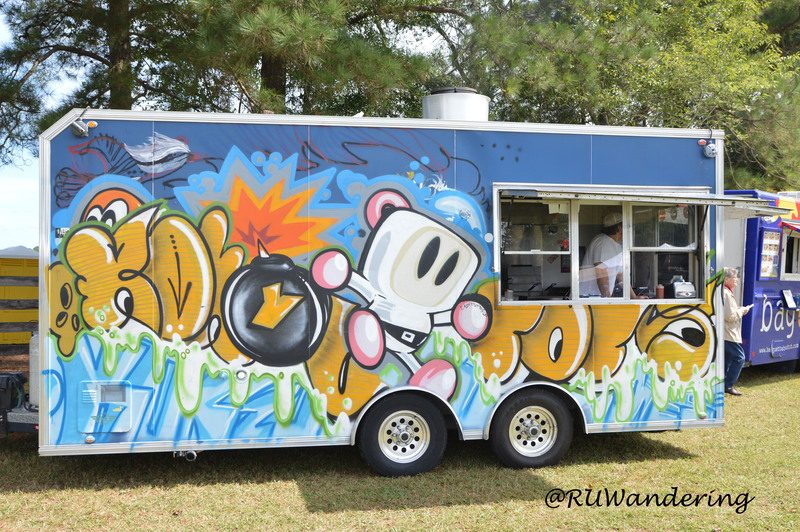 But the reason for my biased slant for KoKyu BBQ is it was my first food truck. That experience has been a mental tattoo that has steered me to dedicate my non-sleeping, non-income generating hours to writing, chasing, and cheering for food trucks. So when I read that Na’Mean was open, my car keys were already in the ignition. Located in South Durham, it is conveniently located near Southpoint and Research Triangle Park (RTP). Since I was traveling a far distance, the convenience of being located off Interstate 40 on NC 55 made it easy to have a work lunch. In fact, RTP employees may find NC 54 a suitable option on getting here. A sample of Cusick’s work. 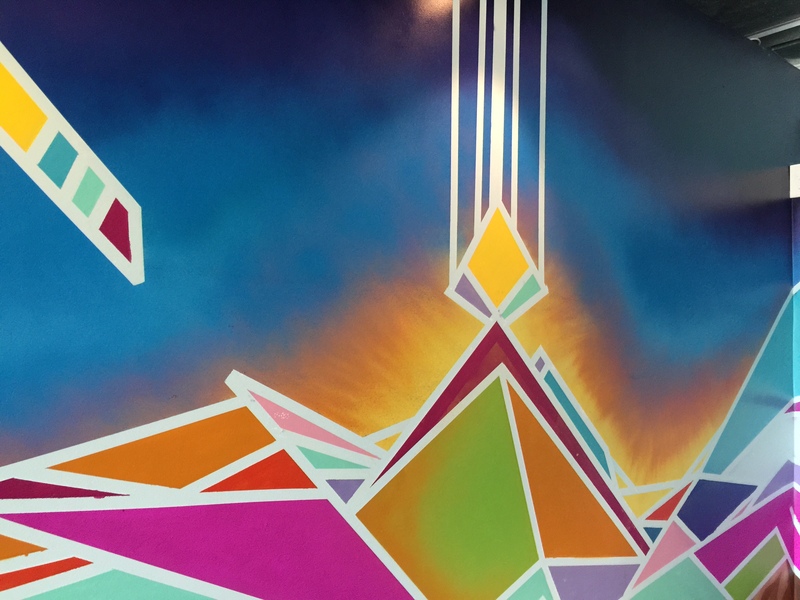 Inside fans will appreciate the graffiti art by Bart Cusick on the interior walls. According to KoKyu’s David “Flip” Filippini, Cusick locked himself inside the shop for two weeks to complete the work. The large wall opposite the cash register has a really cool bull, which I assume represents the Bull City where KoKyu began. Another visual aspect I like is the menu. It is a classic, retro feeling menu board sign. 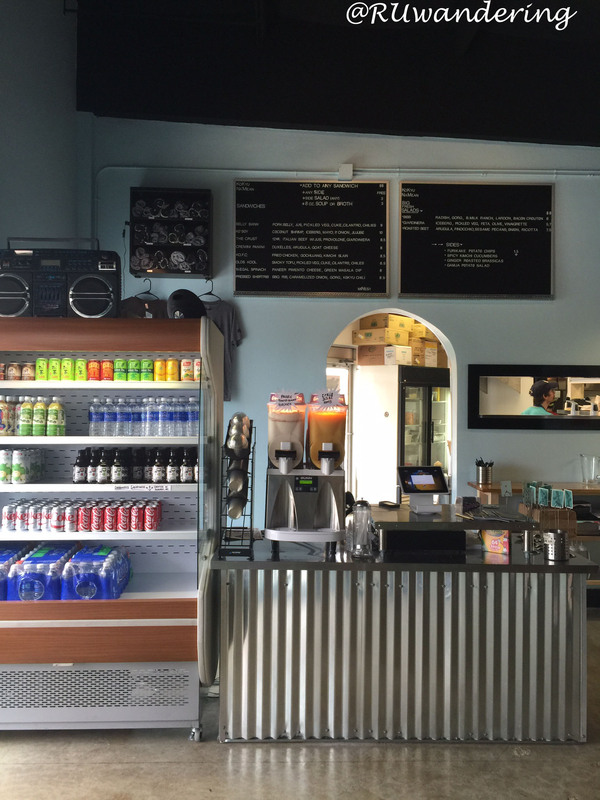 The menu lists all the regular sandwich items, side items, and salads. The sandwiches has great depth for omnivores and vegetarians as the menu is almost split half and half. Each sandwich comes with a free side, which includes Furikake Potato Chips, Spicy Kimchi Cucumbers, Ginger Roasted Brassicas, and Gamja potato salad. These items can also be purchased al carte. You can also opt to add a side salad potion of any salad on the menu. I enjoyed the Belly Banh and upgraded my side to a Bibb side salad. The Belly Banh was delicious with its crunchy outside and soft, chewy bread. I enjoyed what was inside the sandwich. 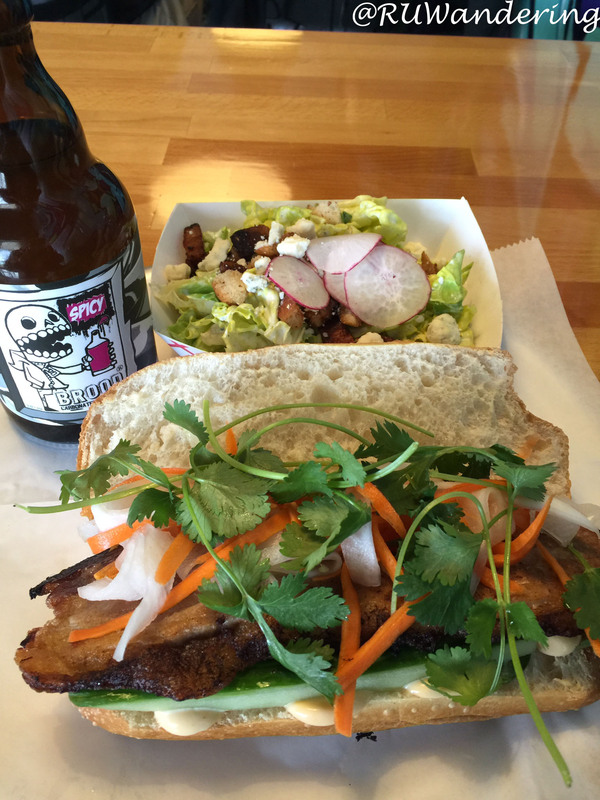 The juicy pork belly accompanied by the heat of fresh jalapeños and cilantro. The bibb salad was pretty tasty with the gorgonzola cheese and the right amount of ranch. The bacon croutons gave it some nice texture with the bibb lettuce and soft cheese. In addition to water and wide range of unique drinks, they also have Brood Soda (from Durham, as well) and Horchata. I enjoyed a bit more spice to my meal with the Spicy Brood Soda. Even though the visit was on the first day, I found the process was very smooth. It should be very little surprise as while this it the first brick and mortar, this is third KoKyu creation in the Triangle (KoKyu BBQ and KoKyu Ondo). If you enjoyed the creations from the BBQ and Ondo, you will not be disappointed by this – Na’Mean. Place looks cool! Looking forward to checking this out the next time I’m over that way. Do they have duckfat tots though? They do have a fryer there, so they are doing KOFC (another truck favorite). The tots are still a KoKyu BBQ exclusive.